By the end of this episode, my thoughts? Seriously? Yeah. It’s…disappointing. And supposedly the next episode is the last, but it still doesn’t seem quite final. So the big birth secret is revealed…not that it’s really a secret, I’m sure everyone can guess the results of the DNA test. Kusano and Nakatsu make their departures from the series and I am left to wonder just what part their characters played. I mean, yes, Kusano did help Rei a bit, but his characters wasn’t all that necessary unless they wanted to really hit home how horrible a person’s life could be without a register. And Nakatsu…I get it and yet is character also seems superfluous and I found his scenes in these past two episodes just…preachy, redundant and, well, fake. Rei is heartbroken after saying farewell to Kiyama. This really lets you know just how much the girl has come to trust, depend on, and dare I say love? Kiyama. 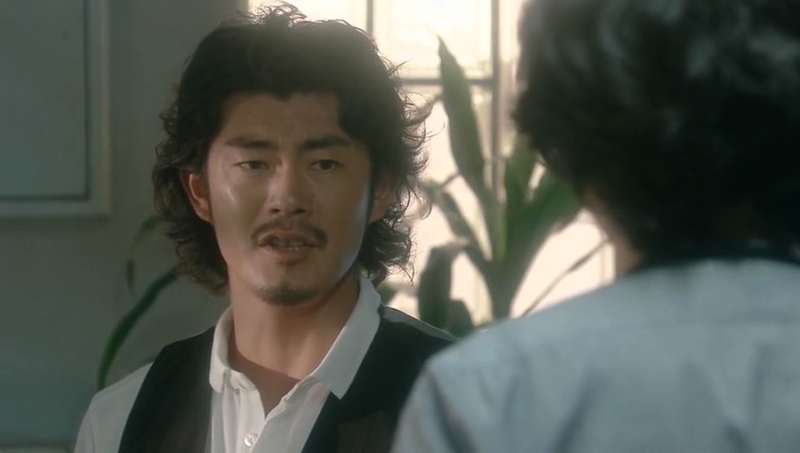 He goes back to the house and asks Kataoka why she did what she did. Isn’t it obvious? Kiyama then explains the truth behind Nakatsu’s article which didn’t reveal everything. Kataoka then says she knows all too well about that and Kiyama apologizes. This makes our crazy woman more crazy. She crouches and cries. Just what is she to Kiyama? His apologies make him seem like a stranger from her. Sigh. Rei is back to work. See, I am confused as Rei was happy that they wanted her to stay, but she kept insisting that birthday cake was her last, but lo and behold she’s staying in Tokyo and working at Charlotte’s. Whatever. 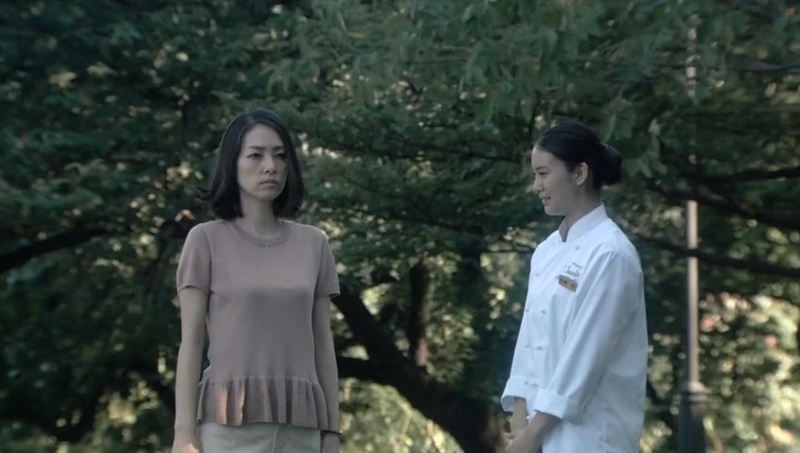 Abekawa tells Igawa that she will be nominated to go to France. This upsets Igawa, but given how unhappy the company is with Rei’s situation, Abekawa can’t really nominate her. Yoko and Mao go to visit Natsume and Yoko lets him know they won’t be moving. Natsume is just happy that they considered the move and actually did plan on it before deciding to stay in Tokyo. Ayukawa isn’t looking so hot, but he’s out of the hospital for now. Abekawa reveals to the employees that Igawa is being nominated to study abroad. 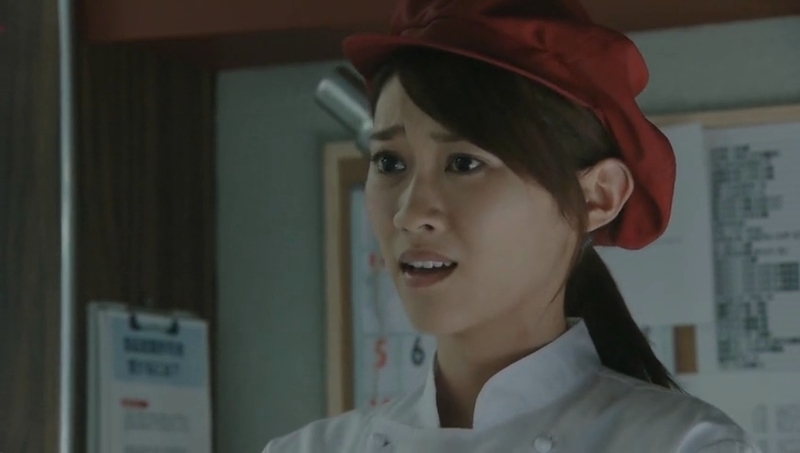 Rei tells Igawa she’s happy for her, but Igawa isn’t so happy as she feel’s that Rei was actually more suited to go. Thus, Igawa can’t feel happy. But she does promise to do her best so that she’s the one who goes to France (it’s like a competition among those nominated as there’s only a few slots). Kiyama comes by and Rei again tells him that unless it’s official business regarding her register, she won’t meet with him anymore. 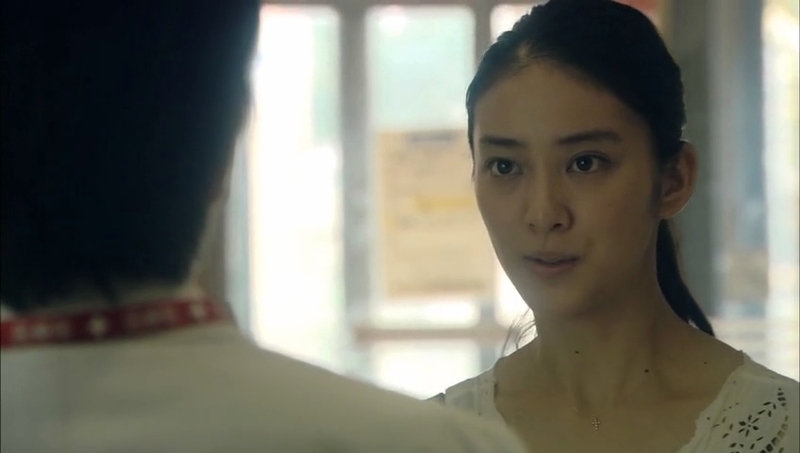 She does confront him about Kataoka, his guilt, and his decision hurting everyone. Kiyama says that it may have started out of guilt, but this is his life now. Right. That’s…so not right. Basically, he’s saying what started out of guilt has turned into routine. That’s not healthy either. Rei goes to leave and up comes Ayukawa with all the paperwork needed for the DNA test. I don’t know how Rei doesn’t notice he’s obviously ill, but she doesn’t. She just grabs the sample and papers and goes to leave. Ayukawa then collapses in pain. Kiyama takes him to the hospital while Rei goes to work and changes. We then learn that it’s pancreatic cancer. It’s doubtful that Ayukawa will last to the end of the year. Wow. More shocking news. Rei says that she’s been selfish. Yes. Rei is selfish and blind at times. She’s young and it’s an understandably difficult situation, but her actions and attitude at times can be really frustrating. Kiyama wishes to help her through this difficult time, but Rei insists on not depending on him anymore as that has made her weak. Truthfully, you do need to be able to stand on your own two feet and endure, but you should also be able to lean on someone every now and then. But Rei has decided to completely cut Kiyama out of her life because of the whole Kataoka thing. 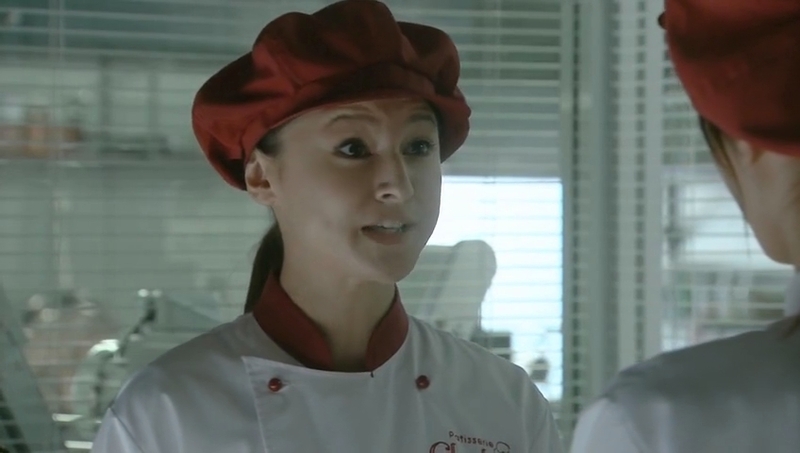 When Kiyama gets back to work, there is Nakatsu. The younger man reveals he’s retiring from reporting and moving back to his hometown to run his family’s liquor store. Nakatsu thought he could do something important and make up for the frozen time since Kiyama quit, but the Tanizaki incident has opened his eyes. 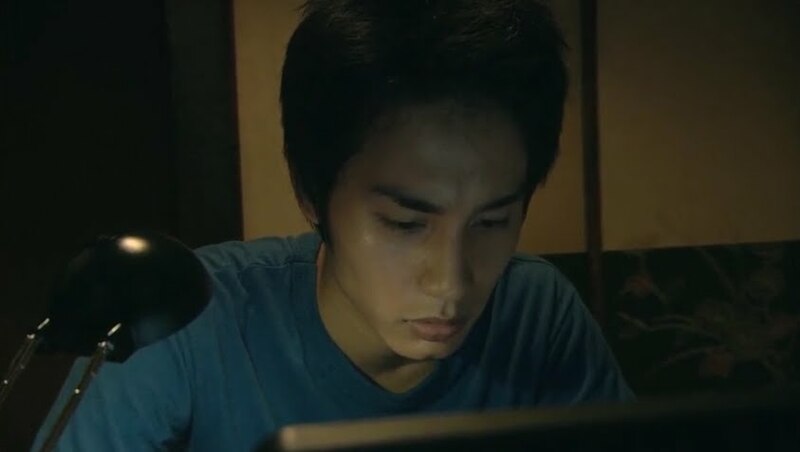 He also urges Kiyama to move forward away from the Kataoka family. Right, right. I mean it would be sad for Naoto and everything, but that really isn’t a healthy dynamic in that house. Kusano finishes up his night job and hands the money over. The man asks if he will really quit. Kusano nods. The man laughs and says he’ll get him a good apartment now that Kusano’s old one is being demolished. He goes home and he and Rei start talking. They arrange to meet at their usual place to talk. Yoko comes in and lets Rei know the bath is ready. Rei quickly hides the DNA papers and goes off. Yoko looks at them and is not happy, but she won’t stop Rei this time. Rei goes to mail the test, but just can’t bring herself to do it. She goes off to work instead. 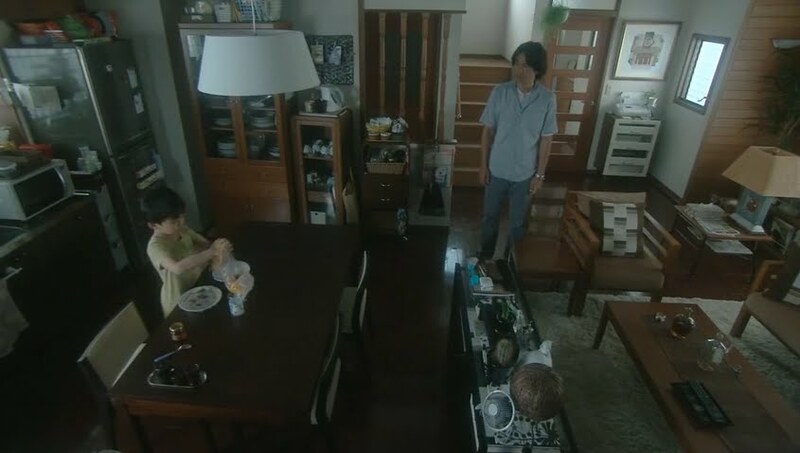 Kiyama goes home to find Naoto alone. He asks after Kataoka and Naoto says she’s in bed sleeping. Kiyama notices the empty alcohol bottle. Naoto then says that his mother was strange the other day. She cried and said she loved Kiyama. Oh, poor boy to have to be caught up in this all because Kiyama felt guilty over his father’s death. Kusano apologizes for the article and Rei says she had met Nakatsu before and he would have wrote that article even without talking to Kusano. Still, he’s sorry. Rei smiles and tells him she’s happy he apologized. She then asks his advice about the DNA test. Kusano encourages her to do it. He then reveals that his mothers were lesbians who selfishly had him and abandoned him (without registering him on either of their family registers). He has heard they have both died, but he doesn’t know for certain. He would really like to know who they are and what they look like. So even if Rei is afraid of the results, he feels she can move forward with her life happily if she gets it done. 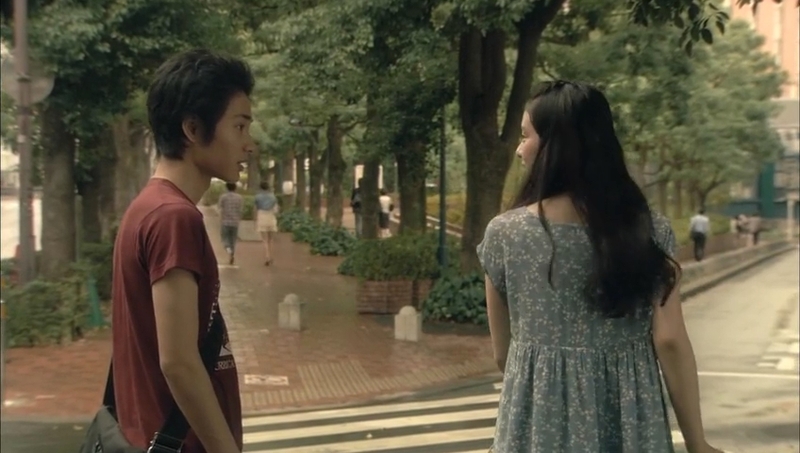 Kusano then reveals he’s leaving Tokyo for good as he doesn’t want to become a useless person. He’s going to a home for children without registers. Rei is sad to see him go. They talk about how glad they are to have met one another. Rei calls after his retreating back and tells him to email her after things get settled. Rei drops the test off and goes home. She reveals what she did to her mother. Yoko still isn’t happy, but there is nothing she can do about it. She then reveals Ayukawa has cancer. She starts crying as it doesn’t matter since he’s nothing to her—just a stranger, right? Oy. I get that she doesn’t want to be his daughter, but man that girl…Yoko can only hold her crying daughter and try to comfort her. Kiyama decides to ignore everyone’s advice and picks up a marriage registration form. I seriously cannot see any type of affection or love for Kataoka in Kiyama, so what the hell does he think he’s doing? I loved how Nakatsu said earlier that Kiyama was playing a victim. I guess in a way, that’s true. Kiyama sacrifices his entire life for one horrible mistake. Kiyama goes home and gives Kataoka the registration form. It’s up to her to submit it if she wants. Now, given his exact words, I wouldn’t submit that thing at all. What did he say? He hands it over saying this way he can keep things they way they are. There is no real sincerity or love, he just doesn’t want things to change. Well…marriage is changing things. And if he doesn’t truly love Kataoka, this is just being unnecessarily cruel. You can tell she doesn’t know what to think. Do you think she’ll end up submitting the form? Kataoka pays Rei a visit to apologize and tell her of her jealousy over the younger girl. Rei then says that Kiyama helped her through this difficult time and helped her realize her dream. Rei will now walk forward towards Paris. Kataoka says it has been a long time since she thought or talked of dreams. Yoko reveals that Rei submitted the DNA test to Mrs. Tanizaki. Grandmother isn’t worried as Rei is definitely her son’s. It’s pretty to think so, but probably not true. At the hospital, Ayukawa is asked if he wants to transfer to Hokkaido. He says no. He wishes to stay in Tokyo as long as possible as he will soon have proof of his existence—of the fact that he was alive. I’m guessing the fact that he has a daughter. Rei will be proof of his existence. It’s sad that he’s come to this. If he hadn’t done such horrible things, he wouldn’t be in this position of having no one to care for him if he dies. Things go on like normal for everyone. Kiyama calls Rei to let her know that her register is almost finalized. This makes Rei happy. Then the results are delivered. The Tanizaki family waits on bated breath for Rei to come home. 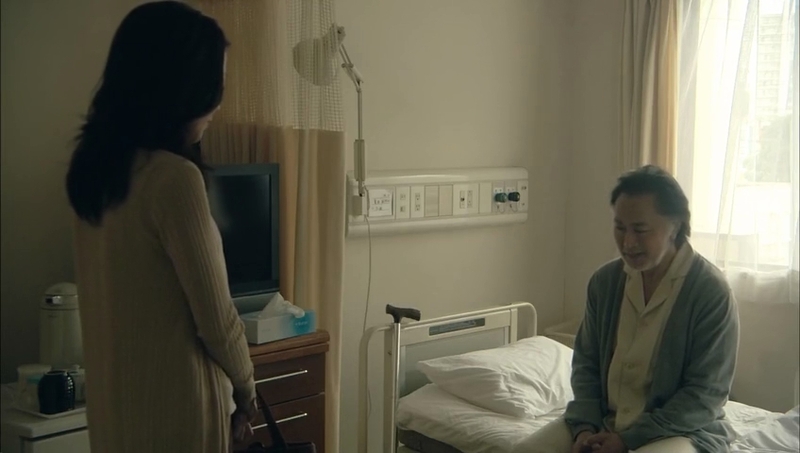 While she locks herself in her room to reveal the results, Ayukawa’s condition worsens and Kiyama is called in. Ayukawa wishes for Rei to come to him. 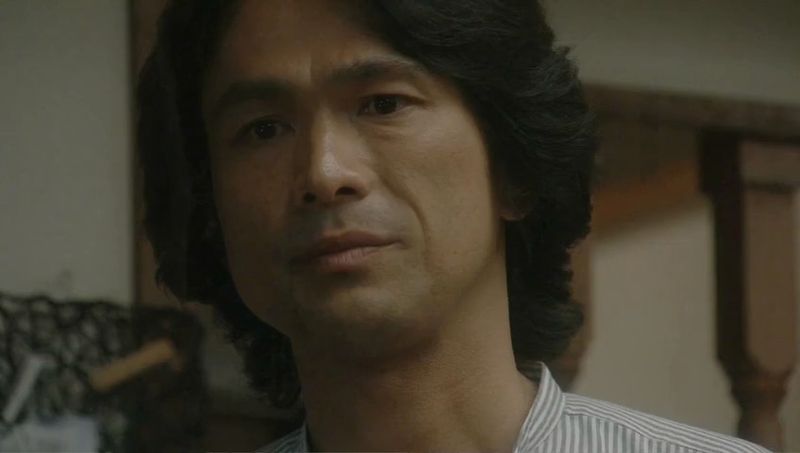 Meanwhile, Rei has found out Ayukawa is her real father and is devastated. She rushes out of he house and doesn’t pick up Kiyama’s phone call. Yoko reads the results, too and rushes after Rei, but she’s too late. Kiyama rushes out looking for Rei and ends up at Charlotte and that is where this episode ends. The next episode looks horrible. Ode to joy. This series had promise, but will have a very disappointing end methinks. IF last episode had me wanting to slash my wrist, I was pulling my hair out in frustration this week. Its like the writers saw that they had a good concept and then stomped on, spit on it and then presented that as the finished product to the audience. I was literally screaming at my computer when Kiyama went for the marriage registration paper. Like really, does that make sense? Marrying someone who you’re with out of guilt? This drama is going completely opposite of what I thought. My predictions for the ending is that… truthfully I have no idea what the heck is going to happen. NONE! I’m still holding my breath for a confession, but I might die before that happens. Yes, this drama really took a turn for the worst. I really wish the writers didn’t have to ruin what could have been a good, original plot with a slow-built romance between Kiyama & Rei with all that typical drama conventions & characters.